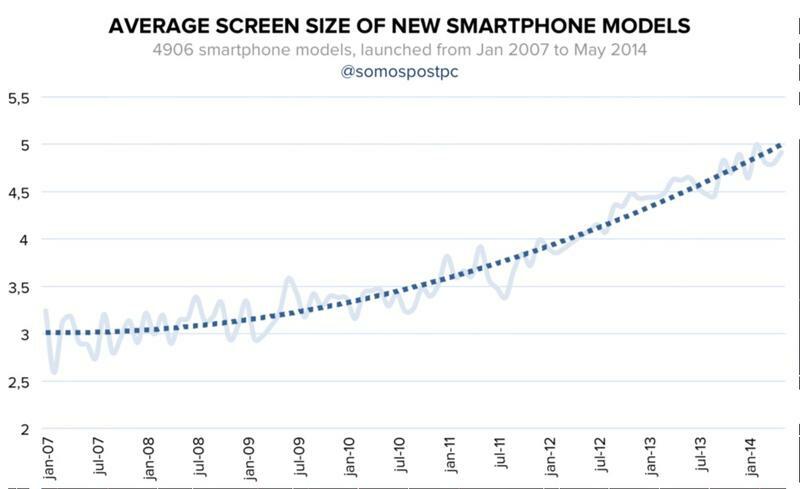 It's no secret that smartphones are getting bigger every year, but a new study posted to Medium by Alex Barredo reveals just how quickly our screens are expanding. Starting with the original iPhone the quest for more mobile real estate has only picked up speed, with Samsung being the biggest culprit when it comes to pushing the limits each year. 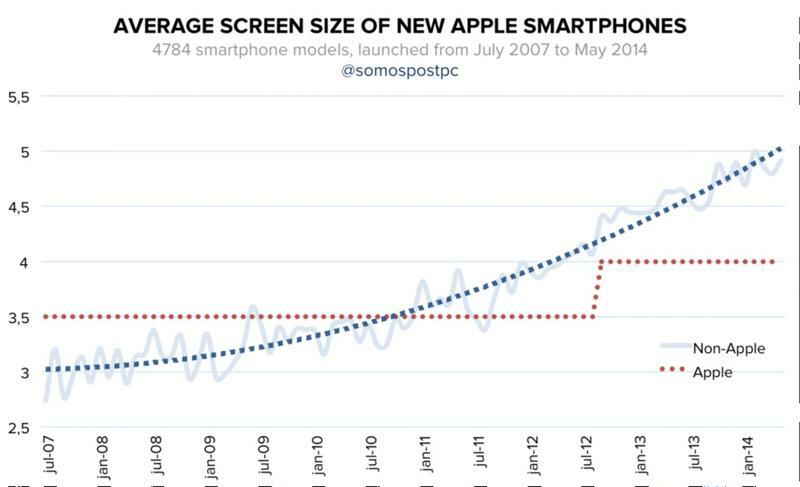 When Steve Jobs unveiled the first iPhone back in 2007 he praised its "huge screen," which really was bigger than most of the competition back then at 3.5 inches. Today the 3.5-inch iPhone feels tiny and even the larger 4-inch models starting with the iPhone 5 look puny compared to most flagship Android phones. When Jobs called the iPhone's screen huge there's no way he could have known Apple's competitors would turn those words around and use them against him, but that's exactly what they did. 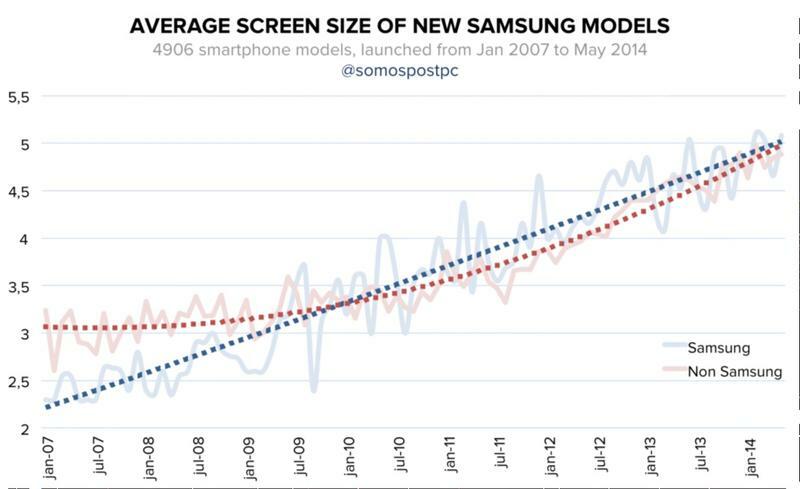 Before the iPhone existed, the general consensus was that cellphones would keep getting smaller, and in early 2007 Samsung's average phone screen size was just over 2-inches. By mid-2010, however, Samsung's phone were bigger than the rest of the industry on average. A year later the company released the original Galaxy Note, helping usher in an era where 5-inch screens are the new normal. What happens next is unclear, but these charts help point to several likely possibilities. Apple will almost certainly release a larger smartphone this year with the iPhone 6, once again falling just short of the industry average if rumors of a 4.7-inch display are correct. 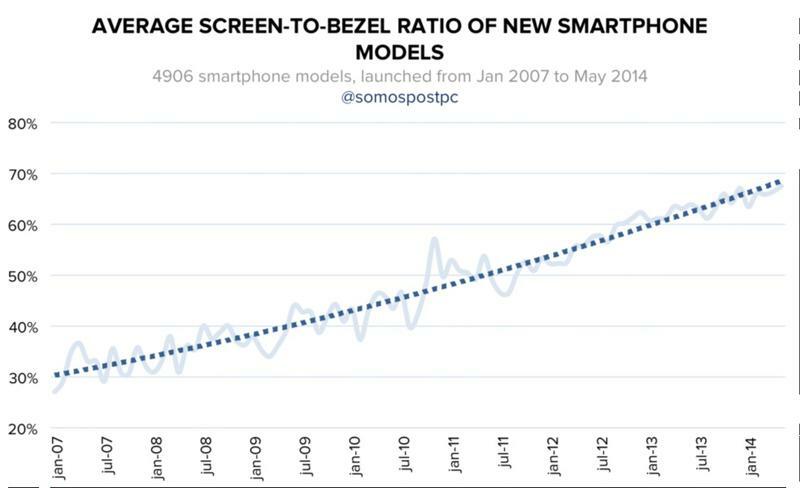 Meanwhile, Samsung will continue to increase its average screen size year after year. 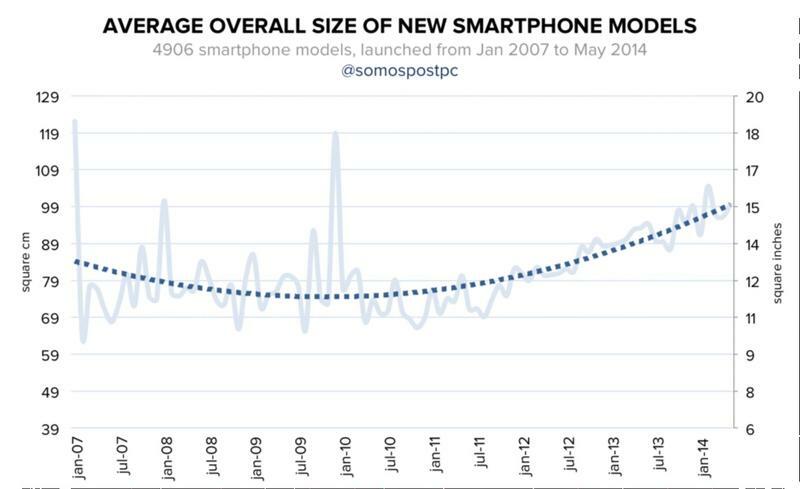 Barredo suggests the average could plateau at around 5.5 inches, but based on his own research it seems more likely our phones will keep getting bigger for the foreseeable future.